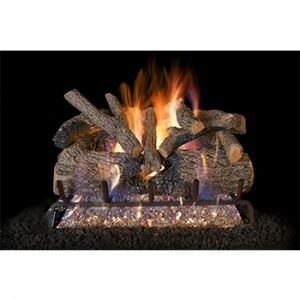 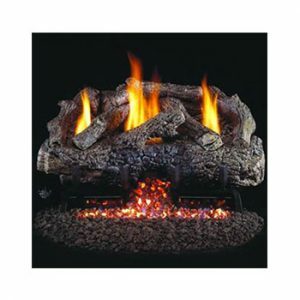 Molded with an exclusive fiber enhanced refractory ceramic mixture, these handcrafted logs showcase the crisp Charred Evergreen Oak bark detail. 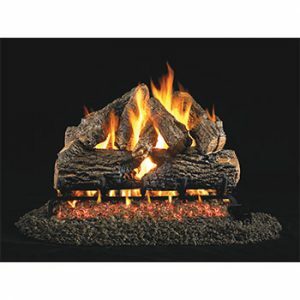 Peterson Real Fyre artisans work from real wood samples to meticulously recreate charred wood. 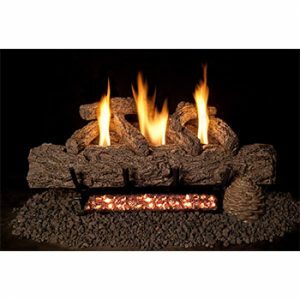 These hand painted gas fireplace log originals are sure to add a touch of elegance to any home. 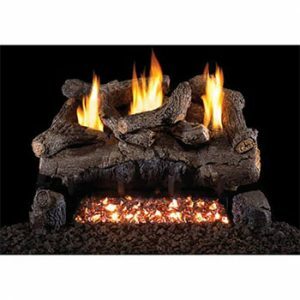 These hand painted gas fireplace log add efficient heat and unmatched beauty to your fireplace. 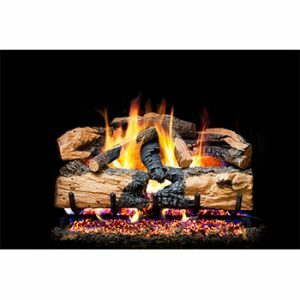 The beautiful display and flame presentation of this Real Fyre Charred Wood gas log set is ideal for creating those magic moments and memories.